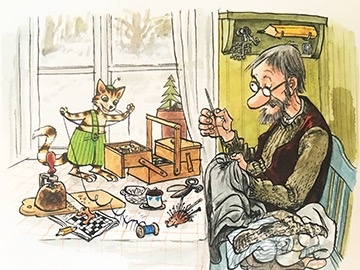 Sven Nordqvist Snow is falling on Pettson’s farm, and Christmas is approaching. 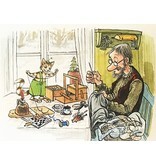 Findus, the talking cat, tells Pettson that he is excited about the Yule Tomte visiting and bringing gifts. Oh dear! 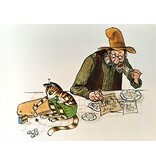 thinks Pettson, How can I explain that the Yule Tomte may not visit cats? 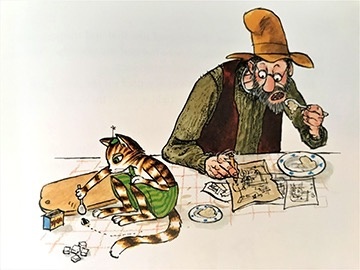 So Pettson resolves to build a secret Tomte, what could possibly go wrong? 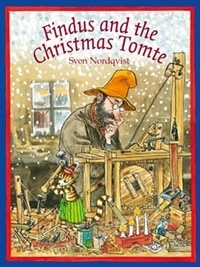 In Sweden it is not Father Christmas who brings children their Christmas presents, but the Yule Tomte. Sometimes seen riding on a goat, the Yule Tomte prefers to deliver presents after dinner on Christmas Eve. 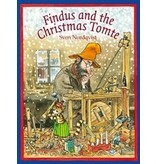 A new, longer Findus book for your collection, with 17 chapters in 130 pages, translated into English by Nathan Large, with Sven Nordqvist’s engaging illustrations throughout.